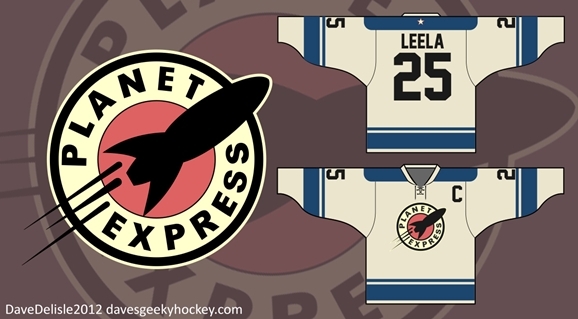 You might not think that there would be much crossover between hockey and science fiction. 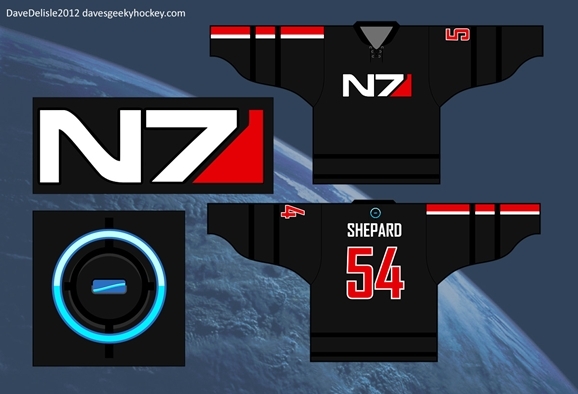 If you apply the rigid social castes found in your average American high school, for instance, the most likely encounter between hockey players and sci-fi fans will involve the former shoving the latter into a locker. If the Venn diagram of your interests includes both stories of far-flung adventure and sports involving ice skates and frequent punching, you might want to check out Dave’s Geeky Hockey. 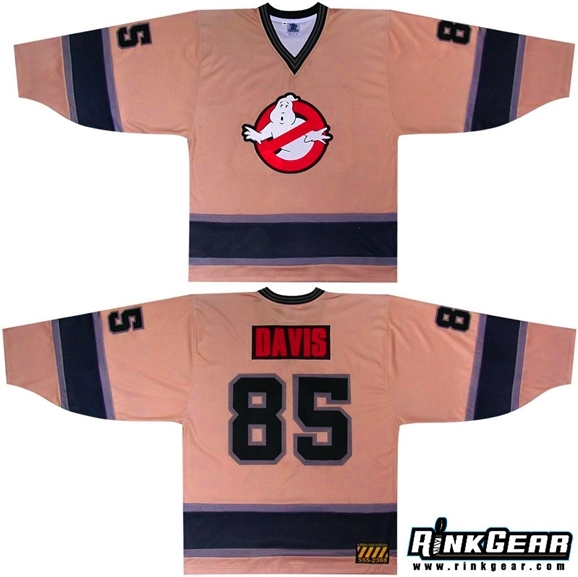 The titular Dave posts designs for custom hockey jerseys based on geek-friendly properties such as Futurama, Mass Effect, Ghostbusters, and the like. The site’s FAQ clarifies that Dave only makes a few of the designs available at any given time, and that he takes orders in batches in order to make things cost effective. Some of the designs are for entertainment purposes only, as Dave doesn’t want to get sued into oblivion by unhappy copyright owners. You can check out a few of the niftier designs below. 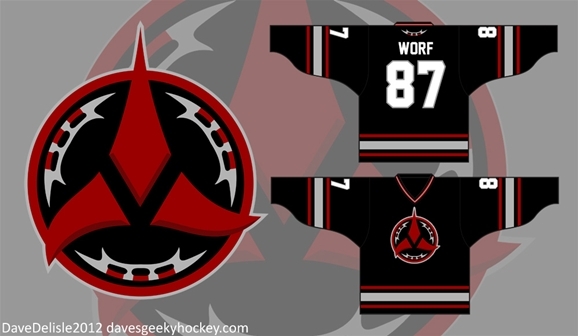 I totally agree about the Worf jersey. Can only be described as awesome.